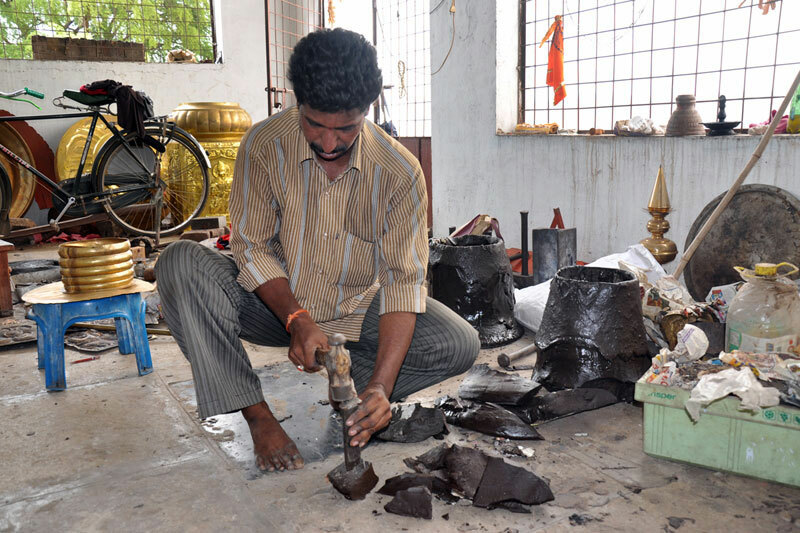 Pembarti, located at a distance of 60 Kilometers from Warangal, is famous for sheet metal art. 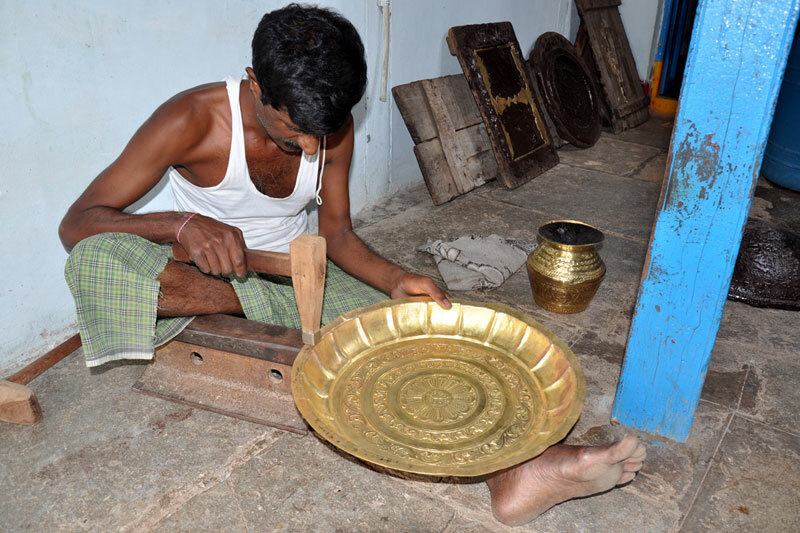 Andhra Pradesh has a history of outstanding workmanship of its Metal workers or "Vishwakarmas", which can be traced back to the grandeur and glory of the Kakatiya Kingdom. 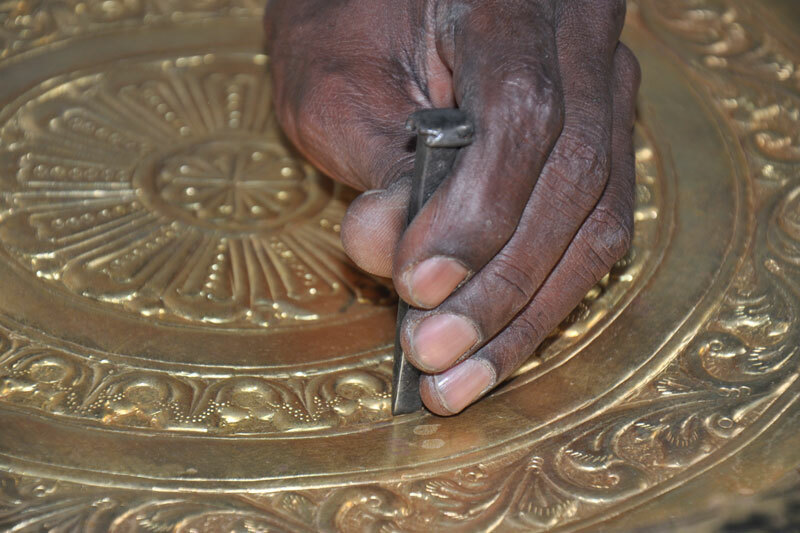 Metal Craft attained the pinnacle of perfection in the high degree of skill displayed by the master craftsmen. 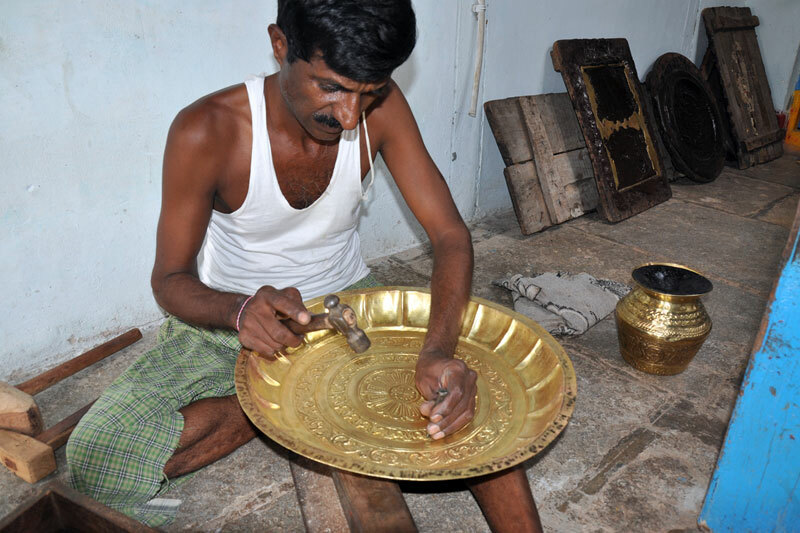 This craft is practiced in Nalgonda district and the craftsmen follow the method of embossing on brass and copper sheets. 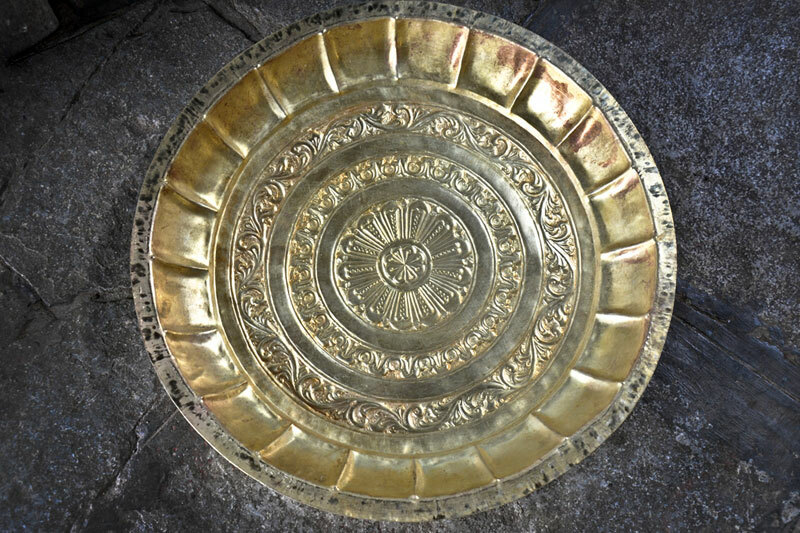 In this technique, brass or copper sheet is cut into the required size and shape and fixed on a wooden table with four sides of the sheet covered with lac (lucca). Lac effectively fixes the sheet on wooden plank or table. 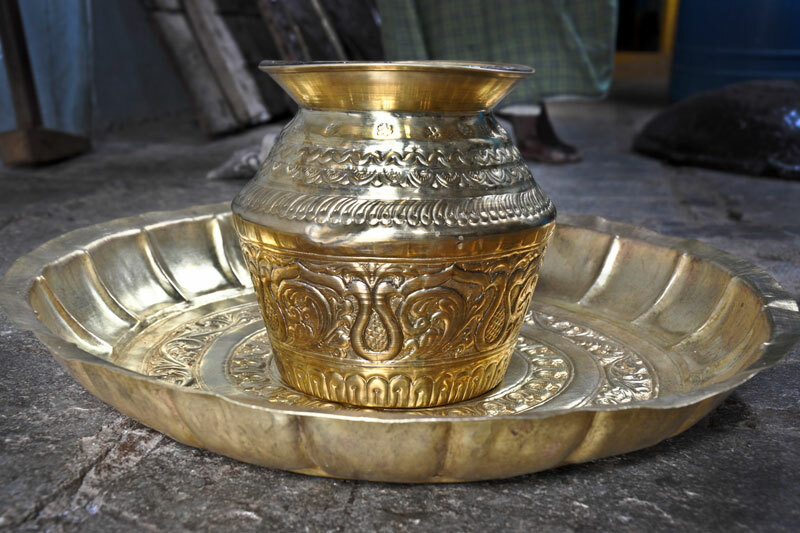 Design is drawn on a paper sheet and the sheet is pasted on the brass sheet. 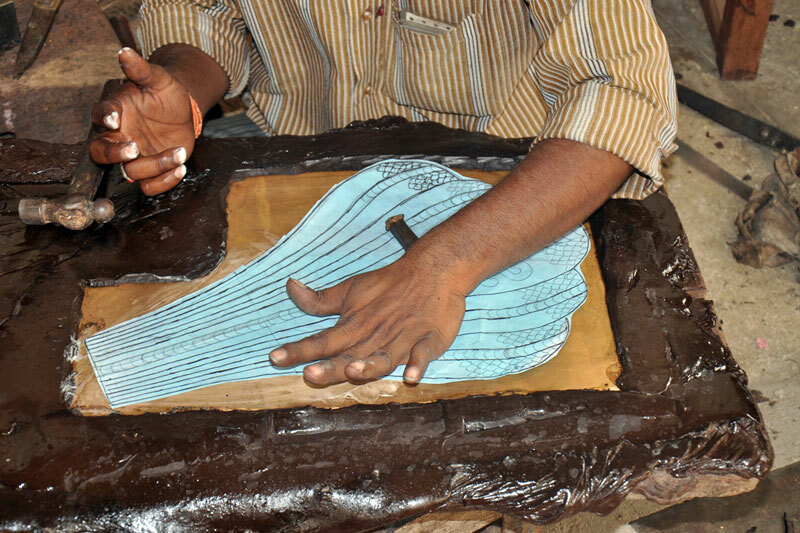 The designs are carved on the sheets using fine instruments (chisel). After the basic carving the paper sheet is removed. 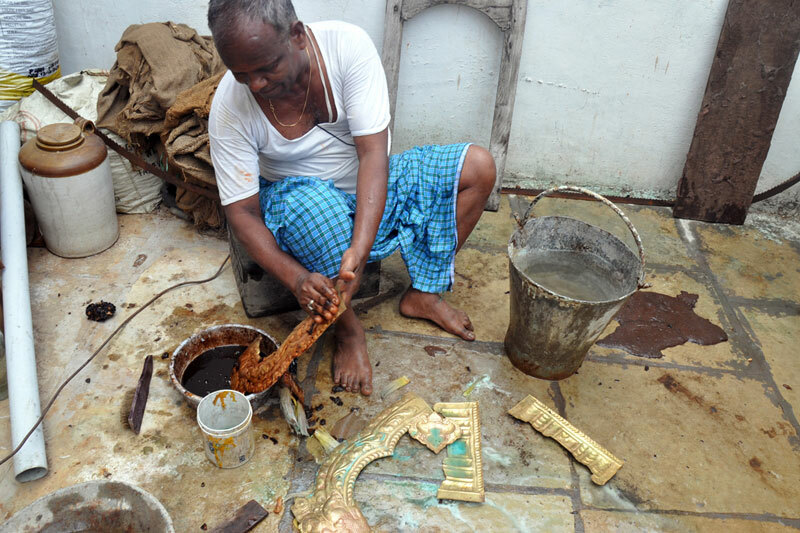 Later the lac is heated and the carved brass sheet is removed from the wooden plank. 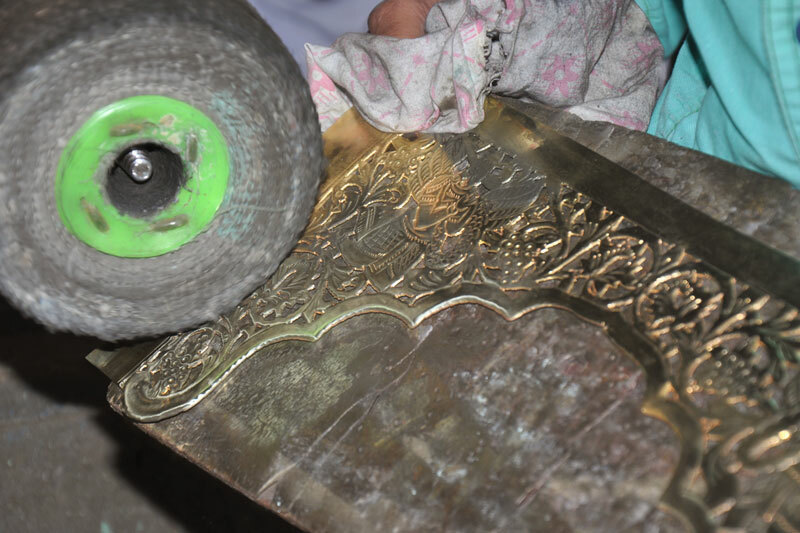 Further fine carvings are done by hammering the sheet with different shape and sizes of chisels. 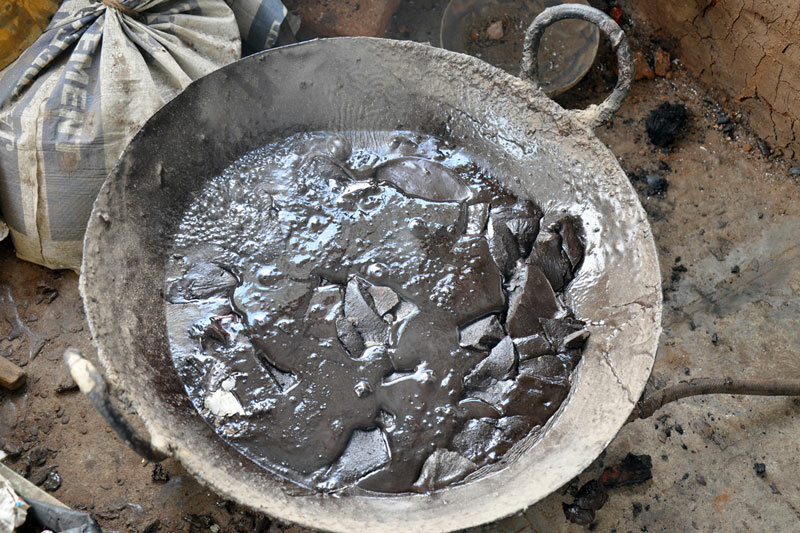 Later the sheet is cleaned with ash powder and the depth of the embossing is done. Parts of the product are designed and embossed separately and later welded together using gas torch burner. 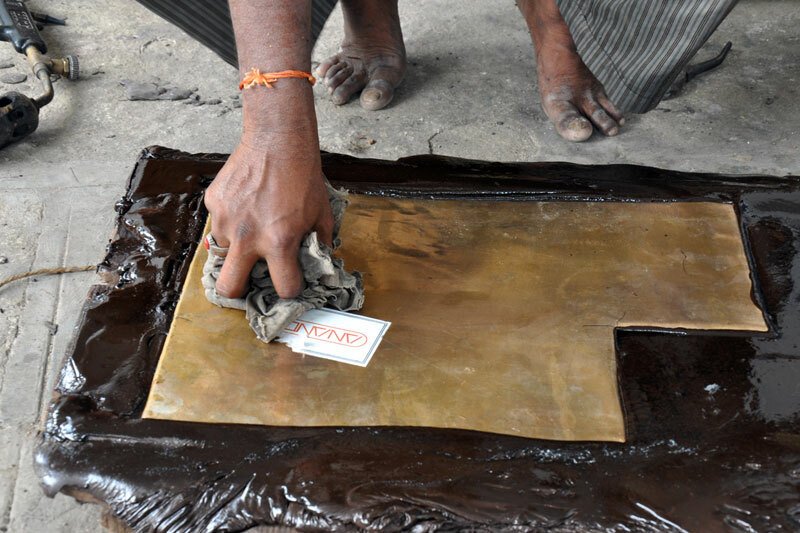 The embossed sheet is then washed with acid and brushed with tamarind water giving the article shine. After washing it is filed to smoothen the edges and buffed to give shine and luster to the surface.